The parables of Jesus are an inspiration to children and adults of any age, anytime and anywhere. Retelling them in rhythm and rhyme adds a new and exciting dimension to stories that we thought we knew. 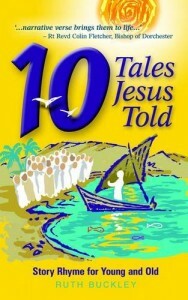 These tales Jesus told may seem simple at first, simple enough for children, but Jesus meant them to address the complex issues of life that we all face, and there are layers of meaning behind the words that grown-ups will also appreciate. 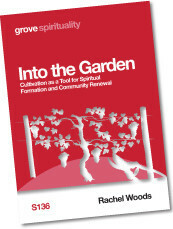 Ruth Buckley has worked with children and adults in church, Sunday school and schools throughout her life. Her main occupation was as a medical practitioner, but a career break led to her discovering a love of poetry, especially story poems. Before long she was writing the parables of Jesus in story rhyme and found they were loved by children and adults alike. This is her first book of Bible stories. Ruth lives near Oxford, UK with her husband John. One of the joys of Jesus parables is the fact that they can be told and retold in so many ways. Ruth Buckley’s narrative verse brings them to life for young and old alike. I warmly commend them to you.